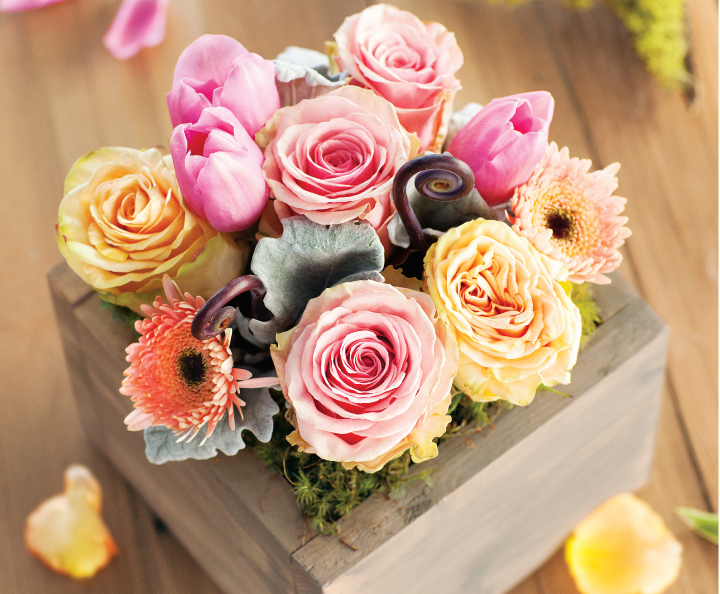 The symbolic language of flowers has helped us express our feelings for centuries. Through flowers someone special can know our thoughts when words fall short, or when it’s difficult to find the right ones. 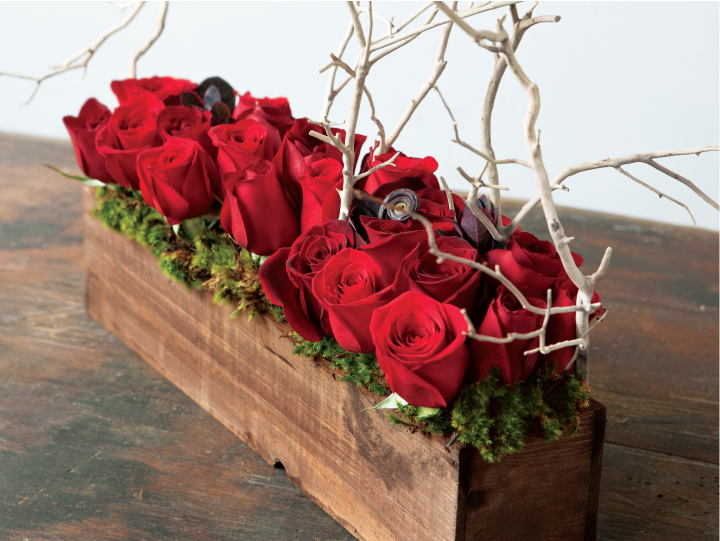 We’ve chosen our favorite Valentine’s Day floral arrangements that clearly send your sweetheart a warmhearted message. A Valentine isn’t just for couples. 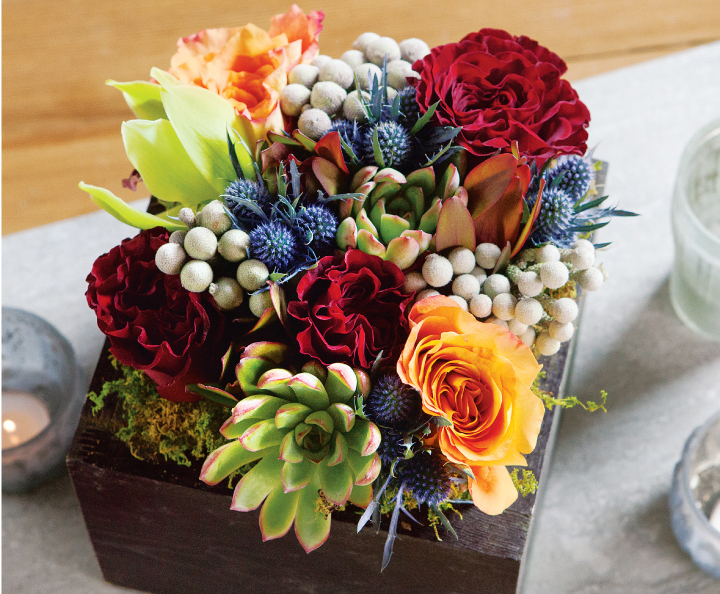 We all have relationships with different levels of meaning, and the mixture of cheery colors and effervescent succulents in this arrangement shares affection with anyone. It’s also perfect as a professional gift, or to thank a teacher or mentor for the contributions they’ve made to your life. 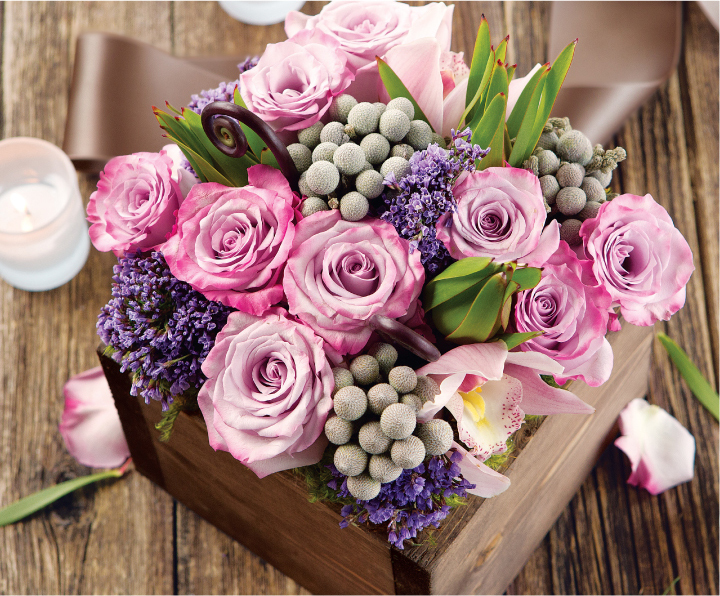 Traditionally, light pink roses have conveyed admiration, joy, and gratitude. 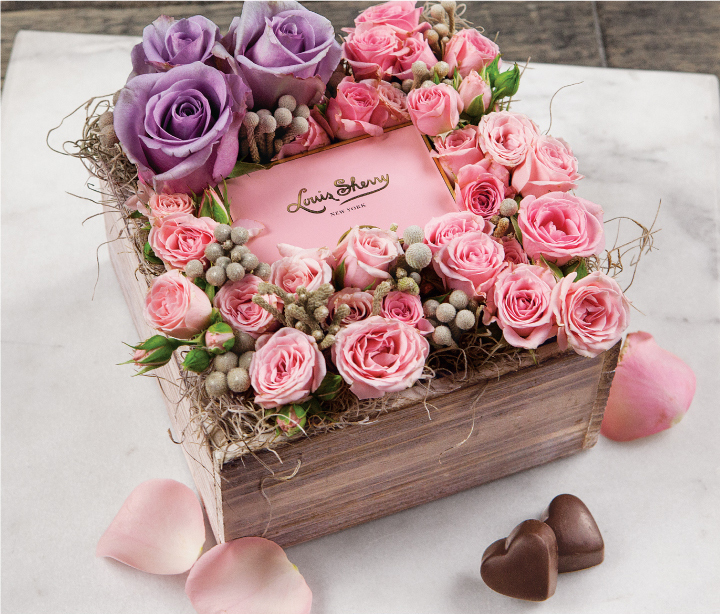 Add a touch of lavender and gourmet truffles in a special art deco tin, and you get a wonderful floral to cheer up a close friend, or sweetly congratulate someone on their success. This is our take on the classic father-to-daughter Valentine gift. The sweet yellows and pinks speak of innocence and youth, and yellow also communicates friendship and the promise of a new beginning. What better way to share a special Valentine’s Day moment with a child, and show an example of thoughtfulness? When the time for subtlety has passed, this arrangement is perfect for boldly sharing your intentions. 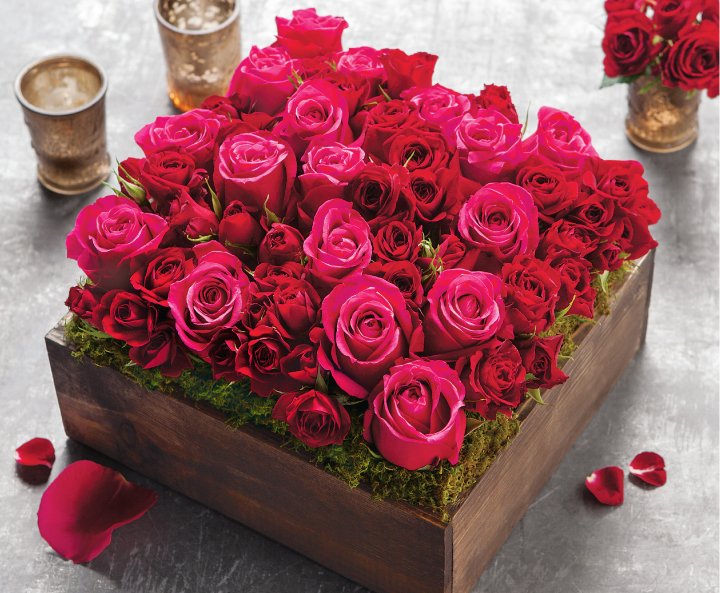 Whether for a new or seasoned romance, red roses relate deep emotions of love, longing, and desire. Red roses have been known for passion since the ancient Greeks associated them with Aphrodite, goddesses of love. It doesn’t get clearer than that. Green foliage, like the moss in many of our arrangements, symbolizes confidence, shelter, or parental love. The natural branches exclusive to Rosso Amore, which symbolize strength, all combined express deep love for the father or mother of your children. 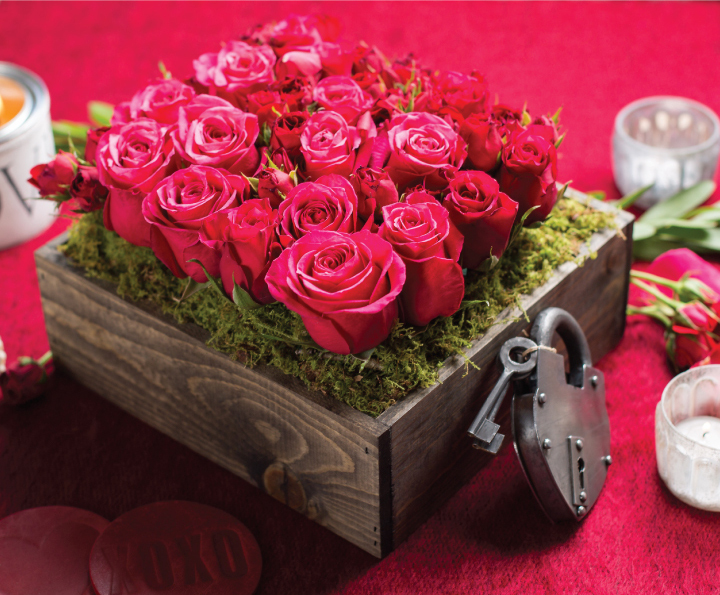 The number of red roses is also significant, as one dozen red roses convey “Be mine” and two dozen means “I’m Yours”. This arrangement tells your devoted spouse that they are still the center of your world. The dark purple floral indicates your adoration of her as a queen, and those paired with light pink says that you see her as sweet and innocent, elegant and graceful. Arianne expresses the kind of adoration that comes from a place of selfless love, a wish to be of help and value to her. 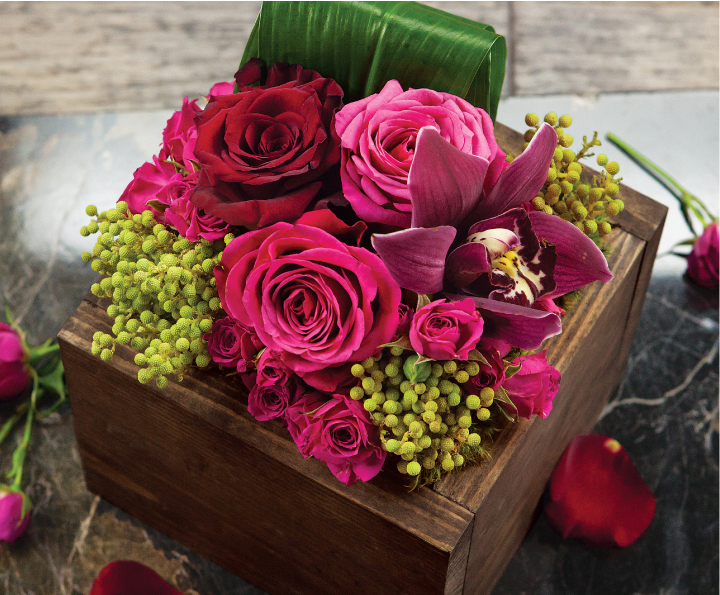 An artful, thought-out floral arrangement is worth its weight in sentiment. Mythology, folklore, and plays through Europe and Asia have celebrated the message only flowers can give. Keeping the tradition alive allows us to preserve a very special way of communicating with our loved ones.